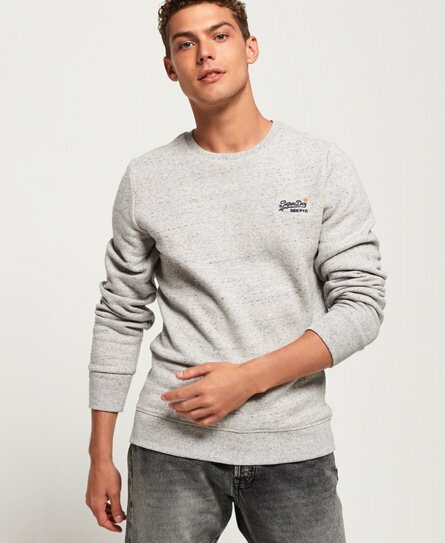 Superdry men’s sweatshirt from the Orange Label range. This soft sweatshirt is great for everyday wear, it features the iconic Superdry logo on the chest, with a ribbed collar, hem and cuffs. This sweatshirt has been completed with the Superdry logo on one cuff and orange tab in the seam. Team this crew with your favourite pair of jeans and trainers, or dress the look up with a pair of trousers and boots this season.